Clayton Crain has Illustrated comic book’s since 1998. Crain was born in 1975. He saw penciling comics as a viable career in the summer of 1989 when he purchased The Amazing Spider-Man #315. In 1994 he dropped art school after 5 months and lived in an old printshop drawing the comic "342". His First professional work, as a penciler, was with Acclaim Comics on ShadowMan. In 1999 he started working with Todd McFarlane Production working on Curse of Spawn and Kiss: Psycho Circus. 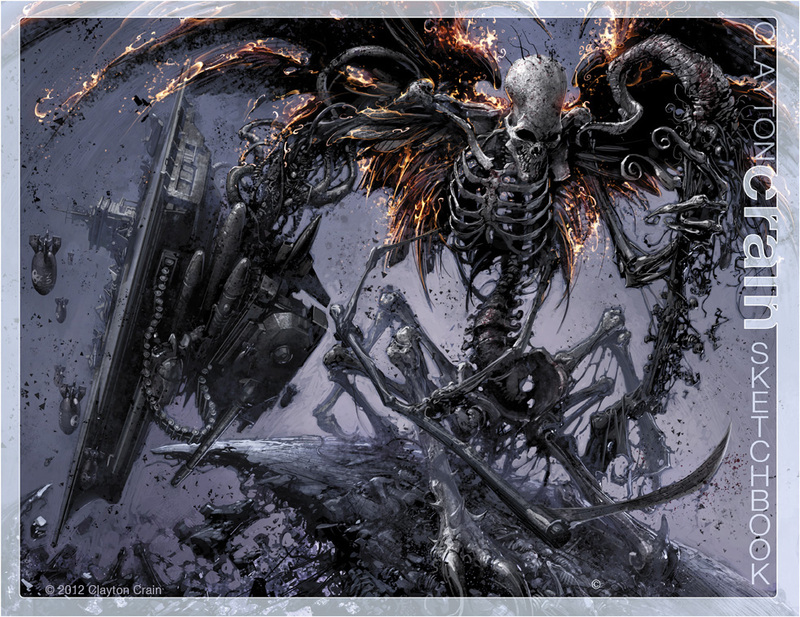 In 2003 Crain began digitally painting for Marvel Comics working on titles such as Venom vs Carnage(2004), Ghost Rider: Road to Damnation(2005), X-Force Vol 3 (2008), Rai (2013) and Savior. Currently a cover artist, for Marvel, DC and Valiant, mixing Traditional Painting and Digital Painting, on Covers: The Punisher, Infinity Countdown, Ninjak, JLA, Venom, Ghost-Rider, The Amazing Spider-Man and The Avengers. if you're interested, this is a short bio book of my work from the 90's to 2013. There are no commercial works. I'd give it a C rating.